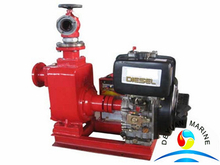 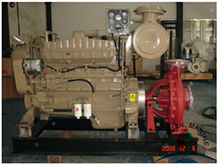 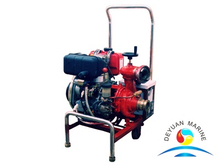 Our diesel emgergency fire pump is designed according to the CCS standard,maily used for emergency fire protection on vessels or industrial and mining enterprises,port terminals,warehouses etc. 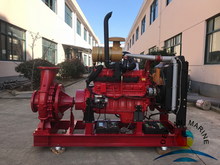 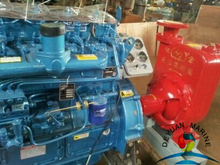 when the diameter is between Φ50-Φ65,the pump set can be manual started or electrically started,the diesel engine is vertical,single cylinder,4 stroke and air cooled. 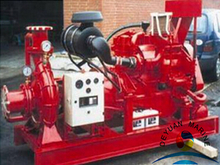 when the diameter is Φ80-Φ100,the pump set can be spring started or electrically started,the diesel engine is vertical,multi-cylinder,4 stroke and water cooled. 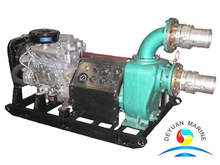 If you are interested,pls donot hesitate to contact us for further discussion.